The legality of cannabidiol (CBD) oil varies from country to country, and even from state to state. This article touches on CBD oil and drug tests, travelling with CBD, CBD and sports as well as information on whether buying and using CBD oil is legal by place, summarising CBD laws in the UK, the US, Canada, the EU and Australia. The legal landscape surrounding cannabidiol (CBD) oil is undergoing a period of change. Across the globe the push to legalise medical marijuana and CBD oil has recently gained momentum, and as a result we’re likely to see some of the existing laws prohibiting the medical use of cannabis progress in the years ahead. We’ll be keeping an eye on this, and will update the sections with any notable law changes. Studies have shown that eating foods containing hemp can cause positive results for THC in a drug test, so this is something to be wary of if you’re tested for drugs for work or other reasons. Even CBD oil extracted from hemp may contain a small percentage of THC, meaning that if you take regular doses of CBD it may accumulate in the body, which could lead to THC showing up in a drug test. Taking CBD isolate is a safer alternative. Theoretically, CBD isolate is a pure form of CBD that should contain zero THC content, which would make it safe to take without failing a drug test, since CBD itself does not show up in urine drug tests. Either way, it’s recommended that you discuss CBD supplementation with your testers to alert them of the possibility that a small amount of THC may be in your system. Is it legal to travel with CBD? While CBD oil with a low THC content is legal in North America, the EU and the UK, it still may be a risky item to take through Customs. It has been advised that you should not travel internationally with CBD oil, unless the product you’re carrying abides by the destination’s laws (i.e. is CBD oil legal there? What percentage of THC content is allowed?) If you’re flying internationally, make sure that your CBD oil or cream is not in a bottle that’s over 100ml, as it will likely be confiscated regardless. On the September 29, 2017, the World Anti-Doping Agency (WADA) announced that from the start of 2018 CBD will be removed from the list of prohibited substances. Therefore, you’re allowed to partake in sporting competitions at amateur, competitive, elite or professional levels totally legally. In fact, CBD oil supplementation has shown huge potential in the realm of sports and fitness. Some of the potential benefits for athletes include alleviating muscle soreness, reducing muscle inflammation and shortening recovery time, allowing athletes to get back to training sooner. Is cbd oil legal in all 50 states of America? The laws surrounding the legality of medicinal marijuana, full spectrum CBD and CBD isolates are complex in the US. Not only do marijuana laws vary significantly from state to state, but states where marijuana is legal conflict with the federal law that classifies marijuana as a Schedule I drug. However, the Agricultural Act of 2014 a.k.a ‘Farm bill’ allowed the cultivation of industrial hemp in state-sponsored programs. Industrial hemp plants are a type of cannabis sativa plant that contains under 0.3% THC. CBD oils and isolates that are extracted from industrial hemp are legal in all 50 states. 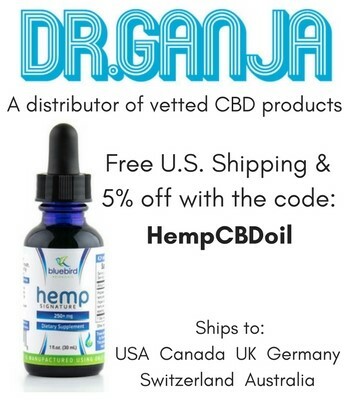 Use the discount code: HempCBDoil to get free U.S shipping and 5% off these trusted hemp extracted CBD tincture products. CBD oils extracted from cannabis containing more than 0.3% are only legal in states where recreational marijuana is legal or in states where medicinal marijuana legal, if you have approved access to medicinal marijuana. All CBD products are legal in these states, regardless of the strain of cannabis it was extracted from or its THC concentration. Eligible users: Those who have ‘debilitating medical conditions that produce seizures’. CBD product: Must have a content of: no more than 3% THC. Eligible users: Those who possess a registration card issued by the Department of Public Health. CBD product: Must have a content of no more than 3% THC. Eligible users: Patients with ‘treatment resistant epilepsy’. CBD product: Contain no more than 0.3% THC, and have a CBD content of at least 5%. Eligible users: Those with a ‘debilitating medical condition’. Under this category, the state legislation lists the following conditions: cancer, severe or chronic pain, nausea or severe vomiting, cachexia or severe wasting, multiple sclerosis with severe and persistent muscle spasms, seizures, AIDS or HIV, Crohn’s disease, Amyotrophic lateral sclerosis, any terminal illness, Parkinson’s disease, untreatable pain. CBD product: THC content of no more than 3%. Eligible users: Those with “the written order of a physician practising at a hospital or associated clinic affiliated with a Kentucky public university having a college or school of medicine. Eligible users: Those with intractable epilepsy. CBD product: Must have at least 5% CBD and no more than 0.3% THC. CBD product: Must have more than 5% CBD, and less than 0.5% THC. Eligible users: Patients with intractable epilepsy, spasticity due to multiple sclerosis or due to paraplegia, intractable nausea and vomiting, appetite stimulation with chronic wasting diseases. Eligible users: Those with severe forms of epilepsy that cannot be treated with traditional medical therapies. CBD product: Products that are approved by the US Food and Drug Administration are exempted from the state’s anti-marijuana laws. CBD product: Must have less than 0.9% THC. Eligible users: People with intractable epilepsy and written recommendations for CBD products from two physicians. Eligible users: Those with intractable epilepsy and a statement signed by a neurologist. CBD product: Contain at least 15% CBD and less than 0.3% THC. Eligible users: Those with ‘any diagnosed condition or disease determined by the practitioner to benefit from such use’. CBD product: Must have at least 15% CBD and less than 5% THC. Eligible users: Required to have a recommendation from a physician to utilise CBD products for a medical condition. CBD product: Must contain a minimum of 15% CBD and no more than 0.3% THC. As is the case in the USA, CBD extracted from industrial hemp is legal and accessible across Canada. Currently, access to CBD products extracted from strains other than industrial hemp containing higher concentrations of THC require medicinal marijuana access. Physicians can also prescribe medical cannabis to people under Category 2, which covers debilitating medical conditions that fall outside of Category 1. Under an expansion of the legislation that was passed in 2015, patients eligible for medicinal marijuana are able to use any form of the drug. This means that patients are legally able to use CBD products that contain any amount of THC. The green rush movement is certainly gaining pace in Canada. As part of his election campaign in 2015, Justin Trudeau promised to legalise recreational marijuana. The Senate gave approval of the Bill C-45 in March 2018, winning by a vote of 44-29. Next, the bill will be presented to Senate committees that may amend the bill further. The final bill is scheduled to be presented to the Senate again for a final debate and vote on June 7, 2018. Follow our twitter account @cbdsafely for regular updates. We’ll be covering any changes as they unfold. Use the discount code: HempCBDoil to get 5% off these trusted CBD brands. Ships to the UK, Germany, Switzerland, Canada, NZ & Australia. Marijuana both medical and recreational is illegal across the UK, however, CBD oil extracted from industrial hemp containing a very low percentage of THC or CBD isolate (containing no THC) are technically legal. Under British law, it is the tetrahydrocannabinol (THC) in cannabis which classifies it as a drug, since this is the component of the plant that makes you high. Because there are no psychoactive side effects from CBD, CBD from hemp is classified as a food supplement rather than a drug. These conditions also hold true for Ireland. There are many CBD suppliers within the the UK and Europe who extract CBD oil from industrial hemp. These products are made from legal crops containing under a certain amount of THC and are sold legally as food supplements. Interestingly, despite the UK having strict laws prohibiting cannabis use, Britain is also home to GW Pharmaceuticals, an industry leader in the sphere of medical uses of marijuana. GW Pharmaceuticals’ flagship product is Sativex, which is a medicinal spray that uses CBD to alleviate the pain of muscle spasticity, a common symptom of Multiple Sclerosis. Sativex contains both CBD and THC, but it has been exempted from the ban on THC and is a legal prescription medicine in the UK. In conclusion, there are certain CBD oil products you can purchase legally if you live in the UK, though you are limited in the type of product you can buy since THC remains strictly prohibited. Is medicinal marijuana on its way to becoming legal in the UK? In some regards the UK seems far from legalising medicinal use of cannabis in any form. The prime minister of Britain, Theresa May, has taken a hardline stance against marijuana, and it is unlikely the Conservative Party will present any new laws amending the current classification for cannabis. On October 11, 2017 the Labour MP Paul Flynn formally presented his Bill to reform the UK’s cannabis legislation to Parliament. Afterwards, Flynn and other MPs (from both major parties) joined a protest run by United Patients Alliance – a group that represents the interests of medical cannabis users in the UK – outside the House of Commons. The high profile case of Alfie Dingley was resolved on March 21, 2018. Upon presenting a petition with over 380,000 signatures to Prime Minister Theresa May, Alfie’s parents were granted a special licence to obtain medicinal marijuana to treat his rare form of epilepsy. However, others with the same form of epilepsy still cannot legally use or acquire medicinal marijuana. Is CBD oil legal in the EU? There is no single law on cannabis use across the EU; member countries make their own legislation on its use and possession. The following EU countries allow the use of medicinal cannabis, imposing varying restrictions (some countries only allow specific cannabis-derived pharmaceuticals): Austria, Belgium, Croatia, Cyprus, Czech Republic, Denmark, Finland, France, Germany, Greece, Italy, Luxembourg, Malta, Netherlands, Poland, Romania and Spain. No countries in the EU allow medicinal cannabis to be taken in the form of smoking it. Medicines that may be authorised include vaporizers, CBD mouth spray, tinctures, capsules or tea infusions. Yes, provided that the CBD oil has less than 2% THC. According to federal legislation, CBD oil is legal “in preparations for therapeutic use containing 2% or less of other cannabinoids found in cannabis”. Despite this type of CBD oil being legal, it isn’t easy to source it domestically yet. Although all states legalised medicinal marijuana in 2017, it is still difficult to get. As this improves over time, it’s expected that access to CBD will as well. The content in this article is provided for general information purposes only and does not constitute legal advice. Laws can change rapidly, please check with your local office.